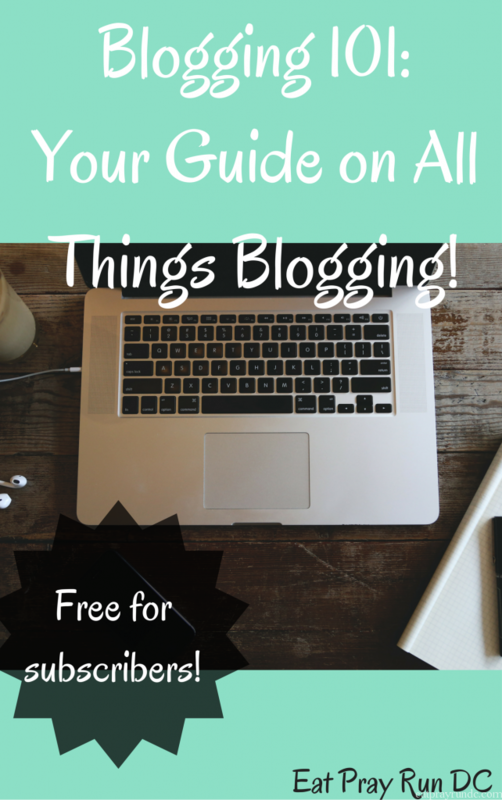 A Welcome to Blogging 101 FREE e-book sharing the basics to get started with blogging and social media. A monthly newsletter full of behind the scenes updates, tips and tricks not found on the blog. Future access to Blogging 201, Blogging 202 and Blogging 301, which will all be deep dives into self hosting your blog, Twitter, Pinterest and monetizing your blog! Access to discounts on blogging courses, running gear and more! Have a blogging related question and can’t find the answer? Email me at eatprayrundcATgmail.com!